Light is the brightness that makes things visible or something that gives off brightness. Ryan walked through the forest with only the light of the moon to guide him. When Anne entered the room, she turned on the light. A light is also a device for starting a fire. Do you have a light for my cigarette? The sun lights up the sky every morning. We light candles when we have a romantic dinner. Ted coughed when he lit his cigarette. 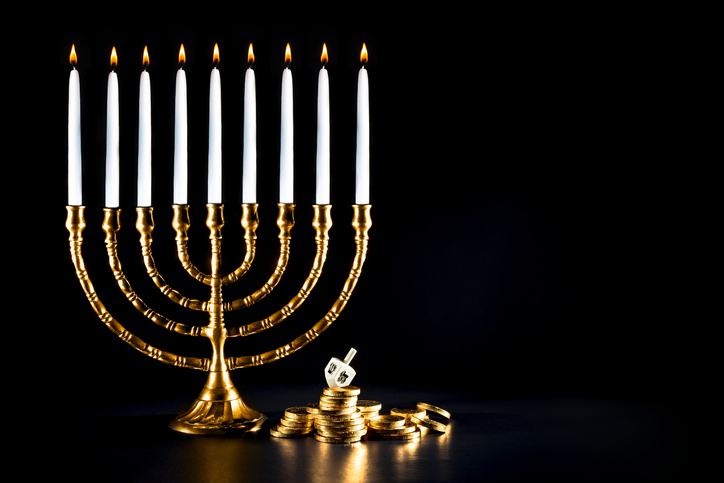 The Jewish holiday Hanukkah is also called the Festival of Lights. Jews celebrate by lighting candles in a menorah (candlelabra) for eight nights. To learn how to light a menorah, watch this video. Sing along with The Doors classic “Light My Fire.” What do you think the title means? There are other meanings of light.